Dr. Won Sop Shin is a professor at Chungbuk National University in Korea. He has lots of experience in research and conducting projects on forest and human health for about 30 years. His main research interest is psychological benefits from forest and nature experiences. During the years of 2013-2017, he also served as Minster of Korea Forest Service(KFS). During his term, KFS developed many new forest policies relating to using forest for human health and welfare. 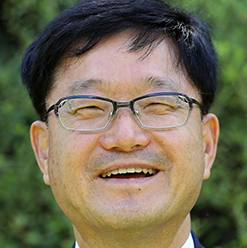 He is now a Head of Graduate Department of Forest Therapy at Chungbuk National University enrolling about 150 students in masters’ and Ph.D. programs.